Wild Shores by Radclyffe stars Gillian “Gem” Martin, the lead biologist at a wildlife sanctuary on the Northeast coast and head of the Wildlife Emergency Response Team called in when catastrophes, man-made or natural, threaten the endangered species she studies. Austin Germaine is a troubleshooter, the hired gun for a big oil company, whose job is to help contain leaks and prevent media coverage of a pending disaster until the danger can be eliminated. If it can be. Gem is painfully typical of a woman of her accomplishments. She clearly withholds her status and importance from Austin. We could interpret that as dishonest. But in reality, it is simply, like so many women, she truly doesn’t see the reality of her value in this crisis. It is through hearing her raw and unfiltered thoughts we truly gain an intimate understanding of this strong character. The reader is privy to the costly integrity and dedication Austin possesses. While both characters possess the strength of character Radclyffe loves to portray in her first responder novels, Austin clearly leads the pack here. It’s Radclyffe. Does anything more need to be said? Okay, I’ll elaborate. The characters are brave, strong, driven by duty and integrity, and remain through it all, deliciously female. I’ve been accurately quoted as saying, “If Apple doesn’t make it, I don’t want to own it.” Unlike Apple, Radclyffe is one author on the growing list of authors I read as soon as they publish. It was inevitable I would love this book. She didn’t disappoint. It’s hard to imagine one author, let alone many authors, can write HEA (Happily Ever After) lesbian romance novels and continue to provide the reader with fresh entertainment. And yet, Radclyffe has done just that. What gives this particular novel a fresh twist on romance is its rhythmic dance between tasting and admiring the forbidden fruit. There is enough suspense and conflict to move the story along, without tipping over into a place beyond an entertaining light read. 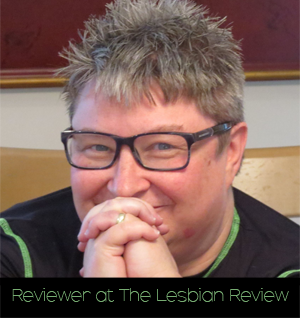 It is the ever-present strength of a Radclyffe novel which places her consistently on the top of the lesfic charts. Trust me. If I had any, I’d tell you. I’m famous for “it ended” as my de facto “con” for a story where I mourned over its ending. This one doesn’t fit into that category. Like all good books, I did feel a sense of loss when it ended. But this one felt like the story had been told to its proper conclusion. Not that I wouldn’t read another novel where Gem and Austin were featured. But Radclyffe left me feeling like they were left in a good place. I don’t need regular updates to know they’ll be fine. Thank goodness Radclyffe doesn’t follow the usual course charted for a “we come from different worlds” plot line. Not that the destination wasn’t predictable. It was. But the course was not. And it was in that unique course that we find refreshing realism absent from the predictable course. Kudos to Radclyffe for pulling this off. It’s harder than it sounds. Wild Shores by Radclyffe is a must read. “Better lucky than good,” Austin said. “You’re right.” Austin grinned. She enjoyed flirting with women. She enjoyed women, when she could. At the moment, she couldn’t, so she signed the necessary papers and stepped aside to file them away in her briefcase. The blonde she’d bumped into stepped up to the counter. Austin collected her keys and caught up to the blonde as she wended her way through the mass of people milling about. She’d been stranded plenty of places in her travels around the world, and more than one stranger had helped her out with directions, impromptu rides, or in a few cases, even offered her a room when she would have been sleeping on a bench otherwise. Returning the favor only seemed right, and the fact that the blonde was beautiful had nothing to do with it. The blonde stopped and regarded her contemplatively. Note: I received a free review copy of this book for review. No money was exchanged for this review. I will always review books as honestly as possible and on occasion, I refuse to review books.